Robert Oster is a managing director and wealth advisor with William Blair’s Private Wealth Management group. In this capacity, he provides a full array of traditional brokerage and advisory services for individual and corporate clients, with an emphasis on large-cap growth stocks and tax-efficient investing. 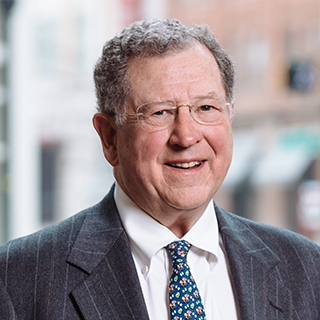 Before joining William Blair, he was a portfolio manager with Brown Advisory Securities, LLC for sixteen years and before that worked 30 years with Alex. Brown & Sons and its successors, BT Alex. Brown and Deutsche Banc Alex. Brown. Bob served in the Vietnam War from 1967 until 1969 and retired as a lieutenant in the United States Navy. He is a member, investment committee, Corporation for the Relief of Widows for the Episcopal Diocese. He received his undergraduate degree from Randolph-Macon College and his M.B.A. from the University of Virginia. *Includes strategic partnerships with Allier Capital, BDA Partners, and Poalim Capital Markets. Ready to start a conversation? Contact us today.